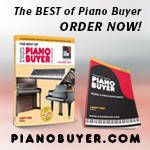 Register Log In Piano World Home Page Forums Piano Forum Are record companies more flexible than concert halls? 105 registered members (Alan LJ, AnthonyPaulO, anotherscott, aphexdisklavier, anamnesis, atcsam, Barrasman, Animisha, BigIslandGuy, 20 invisible), 1,430 guests, and 3 spiders. As I've mentioned here more than once, one of the pleasures for me of listening to recordings is (the sound of) the instrument(s) used. Recently, I heard excellent new piano recordings in which S&S were not featured - by Stephen Hough, Jean-Efflam Bavouzet, Goran Filipec and Carlo Grante. The pianos were Yamaha (presumably CFX), Fazioli F278, Shigeru Kawai (presumably SK-EX) and Bösendorfer 280, and what nice sounds they made . Though in the concert hall, they still play S&S most of the time - presumably because they have no choice in the matter. Bavouzet's ongoing series looks like it's going to be the definitive recording of Haydn's complete keyboard works (on a modern piano) for the 21st century, played on Yamaha. I have the previous complete one by John McCabe (played on Bösendorfer, probably 275) made 50 years ago, which I still regard highly, but Bavouzet is more witty (always a good thing for Papa H), more interventionist and more 'contemporary' (i.e. historically informed, if that's not an oxymoron) in his playing style. And Filipec's Liszt (Paganini Etudes on Fazioli, dances/waltzes on Shigeru Kawai) is hugely impressive - in fact, as pure pianism, I prefer his renditions of those works to almost any other. In concert halls, the piano needs to be able to project to the back row and be heard clearly. Whatever else one says about Steinways (there are haters as well as lovers of Steinway on here), they are experts at making a concert grand that can fill a concert hall. True, sometimes they're not always loud enough, but most of the time a well-selected and properly maintained Steinway fits the concert hall very well. They might not always have the most beautiful sound but sometimes that's not what is required. A studio is different, a studio is a more nuanced situation. Yamaha, Kawai, Bechstein, Blüthner, Bösendorfer, Fazioli, all make pianos which work well in concert halls, but the sound of some of them (Blüthner and Bösendorfer in particular) is less direct, giving the impression of less power - which is not true it's just that it blends more with the other instruments in a concerto situation. Kawai and Yamaha are almost more fragranced than Steinway (fragranced, not sure what I mean, but I hope you get the drift....) and that sometimes comes over as less powerful, etc.... Fazioli is more clear, and it can be disconcerting for some pianists to play although most love it. The other point is that when you're talking about concert halls that regularly host concert pianists, you'll find that mostly it's a Steinway. It's the case in the UK, and I should imagine most of Europe, and for that matter America, that most of the concert technicians who are working for pianists will be based at Steinway, or will have a strong affiliation with Steinway, or may even get most of their work from Steinway if they're not actually Steinway employees. This does create a certain dynamic in the profession where Steinways will end up coming out on top. Why is that important? Well, you can't set up a Steinway the same way as you set up a Bösendorfer or a Yamaha, or whatever. Each piano requires its own special way of being voiced and regulated. Technicians often don't like it when the piano isn't a Steinway because it's kind of alien territory. It's probable that Yamaha now have a large network of technicians, but I'm not sure if there are as many Yamaha concert grands out there as there are Steinway concert grands (I've literally no idea, it seems the case that there aren't but I can't back that up with facts), and so my third point is that the vast majority of concert grand pianos that have been made by a single maker seem to be Steinways. In the studio you don't need power in the same way, the piano won't be punished in the same way, and it's easier for an artist to take their preferred piano into a studio for a week than it is to tour with it. 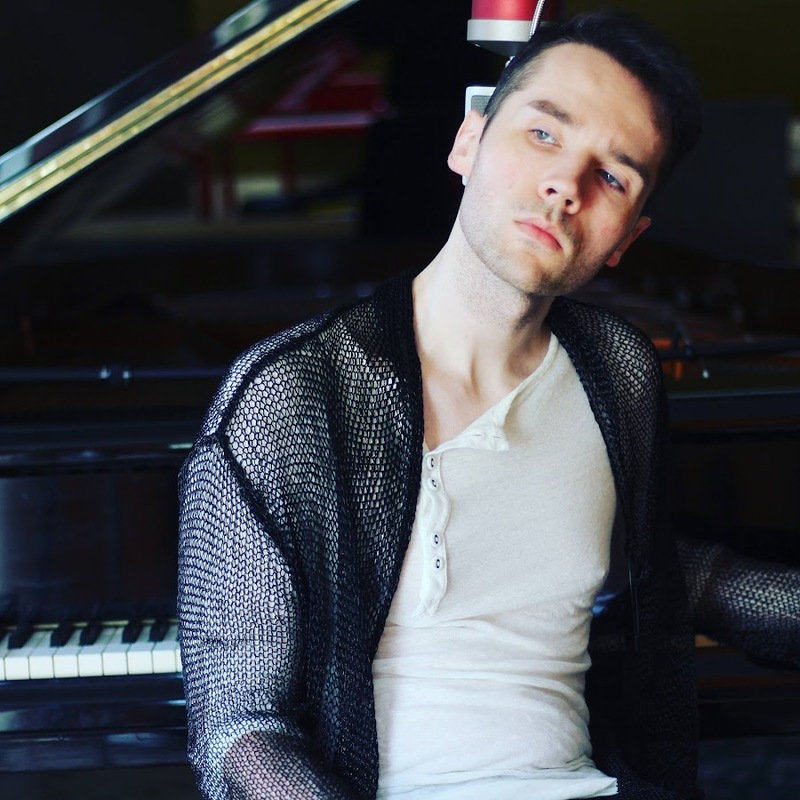 I am not a touring pianist (I've done it a little but not much), but I've met lots of touring pianists, and I've yet to meet one who has been unhappy with a good Steinway D. It's home territory for most pianists. They might not always love the piano, they might even like some pianos more, but I think 99 percent of the time, the pianist will be happy with a Steinway. They don't want to turn up and play a make they might not know (Blüthner have very few concert grands actually), and therefore have to spend more time getting to know the piano in a high stress situation, and in future they may ask their agent not to book them into that hall again if they don't like the piano. Artists more than anyone can be whimsical. You can take what I've said as total B.S, there might be something useful in there, I'm just rambling really. No different to normal. Interesting insights, Joe80. I had never really thought about it from those angles. To add a little, one of the factors involved is whether or not the artist is a signed artist with one of the piano manufacturers. This will determine what brand of piano they perform on in public. 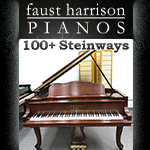 Steinway has the largest list of signed artists world-wide, and the largest piano bank network in their Concert and Artists (C&A) division. The Steinway pianos you see on concert stages around the world are often not "house" pianos owned by the concert venue. They are usually rental instruments. Sometimes they are owned by the performers. The bigger named Steinway artists have their favorite pianos and Steinway ships them around the country to the various performance venues for them (usually at the artists expense). I recently played at week-long event in Chattanooga, TN. We asked for a Yamaha C7 or CFX due to the variety of music that would be performed all week. We felt a Yamaha would mic easier and project a little better in the mix. As it turned out, no Yamaha dealer in that area had rental instruments, and we ended up renting a Steinway D. It did a nice job, and we were pleased although the 1st tuning didn't hold well, so the technician had to come back and tune it again. But after that it acutually held very well all week. Last edited by GC13; 09/14/18 08:55 AM. I'd just like to second in every way Joe's excellent contribution. So wise, so level-headed. Last edited by Karl Watson; 09/14/18 10:16 AM. joe80, thank you for your insightful perspective! Though the pianist might not be able to fully appreciate the Steinway D's projection power onstage, audiences will hear it. That's perhaps why Steinway D's are used in concert halls. [...]Bavouzet's ongoing series looks like it's going to be the definitive recording of Haydn's complete keyboard works (on a modern piano) for the 21st century, played on Yamaha. I have the previous complete one by John McCabe (played on Bösendorfer, probably 275) made 50 years ago, which I still regard highly, but Bavouzet is more witty (always a good thing for Papa H), more interventionist and more 'contemporary' (i.e. historically informed, if that's not an oxymoron) in his playing style. Thanks, bennevis; I'm glad to learn of Bavouzet and his Haydn recordings. 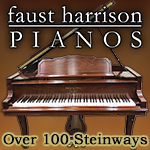 I'm listening right now (Piano Sonatas, Vol. 7) and am delighted with the sound and the interpretation. This will be a series worth investigating, I am sure. I am also saving, for future listening, his complete Beethoven Sonatas, his Grieg album, his two albums of Mozart Piano Concerti; this is going to be an interesting new listening adventure! Can I just add: Steinways these days are more relaxed about the whole Steinway artist thing. Certainly in Europe they recognise that there is competition, and that artists have different preferences for different repertoire and different reasons. In theory a Steinway artist is not meant to play another make of piano, but in reality it's wherever possible they're supposed to play the Steinway piano, or wherever its available. It used to be the case that if the hall had two pianos, and one was a clapped out Steinway and the other was a perfect other piano (as has happened in a few venues here), the Steinway artist would be obliged to play the Steinway. Now Steinways here anyway, are more relaxed and they don't really want clapped out Steinways being heard on stages. Steinway artists can record on whatever piano they like, but in that case they have to make it clear they aren't endorsing that piano. So for instance, a Steinway artist releasing a CD through Blüthner's label would be in breach of the agreement. As far as I'm aware there is no payment for Steinway artists to be Steinway artists. It is purely honorary. I'm sure the big names get paid for appearing on Steinway's publicity, but for the rest of the Steinway artists, there is no money changes hands. Don't forget, he's also recorded the complete Debussy (though on a Steinway) which is very highly regarded - and the complete Ravel (on an ancient 1900's Steinway, I think), of which his Gaspard was BBC Radio 3 Record Review's top recommendation some years ago. There is something about Steinway that blends well, yet can project over strings. So, they get lots of concert use. I felt during the last Tchaikovsky Competition that the solo recitals played by pianists on other pianos tended to be more interesting, however. Howard (by Kawai) 5' 10"
Recording studios may not have their own piano, so if they are renting a piano for a recording, there are more choices. Halls usually have their own piano, or a deal for a particular brand, which gets preference. Generally, with record labels/companies, the artist/producer could play whatever instrument he/she chooses. In the states, pliantly of dealers would rent out fine concert grands to a highly regarded studio for a couple days; in my experience though, when it comes to live shows said dealers would be much more reluctant. It is worth pointing out also that, at least in the states, if a concert hall exists, it already has a steinway on hand. 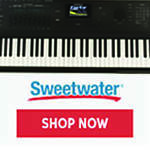 If you want a different piano for the show, you are on your own as to how to work out the logistics of acquiring it.